Most people travelling to Denarau Island will arrive through the main international gateway for the islands of Fiji, Nadi International Airport. (Airport code: NAN). 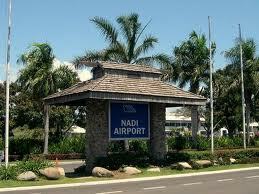 Nadi airport is located close to the township of Nadi and approximately 20 minutes drive from Denarau Island. Nadi Airport serves about 1.2 million passengers a year and is the main hub of Fiji’s national carrier, Air Pacific. The passengers into Nadi represent over 95% of all visitors into Fiji. The airport is basic but very functional and comfortable. Departing passengers are able to shop in a variety of duty free outlets as well as numerous food outlets. 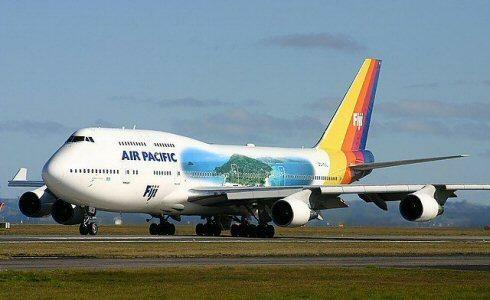 Air Pacific is Fiji’s international carrier that has direct flights to cities such as Auckland, Christchurch, Brisbane, Melbourne, Sydney, Honolulu, and Los Angeles. Air Pacific has code-share arrangements with Qantas Airways. A number of other international airlines service Nadi Airport including Air New Zealand, Air Vanuatu, Korean Air, JetStar, Virgin Australia NZ and Air Niugini. Whilst you are able to book air travel through each of these airlines, many people who travel to Denarau Island will purchase air travel and hotel accommodation in a package. 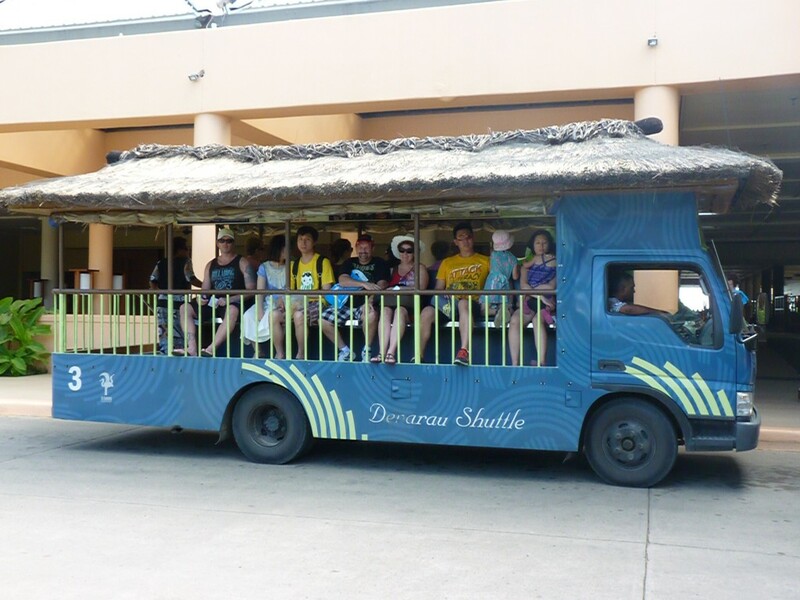 – Shuttle Bus (there are some companies that will offer shuttle services to any hotel resort on Denarau Island. 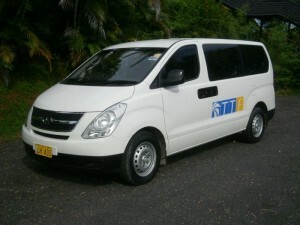 An example is TTF (Tourist Transport Fiji), which is Fiji’s premiere transport operator and ground handler having been in operation for over 35 years. – Car Rental (The usual well known car rental companies like Budget, Avis, Hertz and Thrifty all have operations in Nadi.) Driving in Fiji is on the left hand side and the maximum speed limit is 80 km/h nation wide while many other roads have lower limits. Watch out for pot holes – there are many of them and rental cars don’t normally like them. 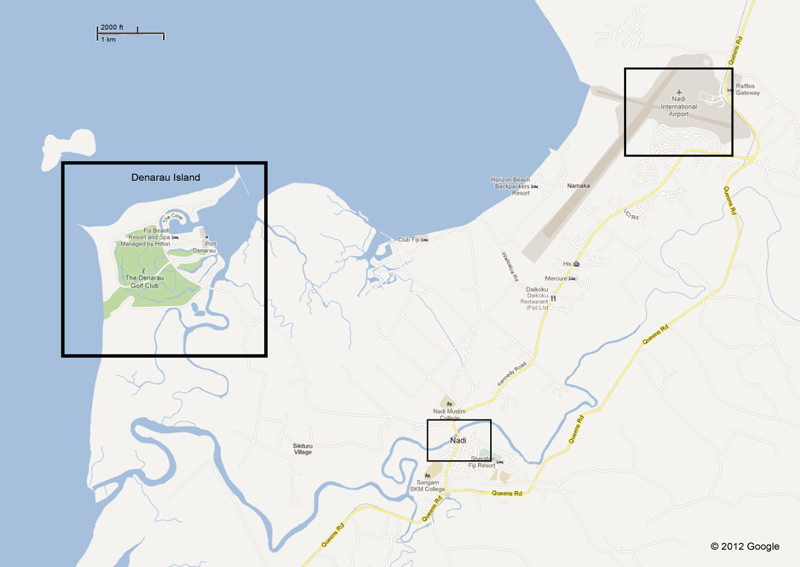 It is quite easy to get around Denarau Island, mainly because it isn’t that big. The most common reasons that people would have to move around the island is to either check out the other resort hotels or most likely, to go Port Denarau which is full of shops and restaurants. 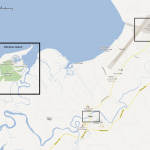 It is certainly possible to walk around the island and even from the furthest hotel from the Port, the walk is only about 20 – 30 minutes to Port Denarau. The most common transport around the island is using the Denarau Shuttle (the blue bus pictured) There are several operating at once and they travel from early morning through to late evening every day, on a circuit stopping at the lobby of every hotel, the golf course and Port Denarau. The cost is FJ$8.50 per adult for unlimited rides throughout the day. Children are free. Tickets are available at most shops in the hotels and at Port Denarau. If you are staying at a Sheraton property (the Sheraton, the Sheraton Villas or the Westin), there is a similar bus called the Bula bus which runs between each of these hotels as well as the golf course. 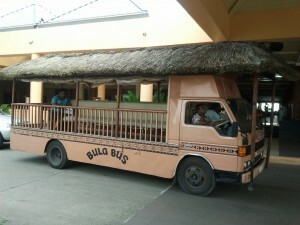 The Bula Bus (the light brown bus pictured) is free.